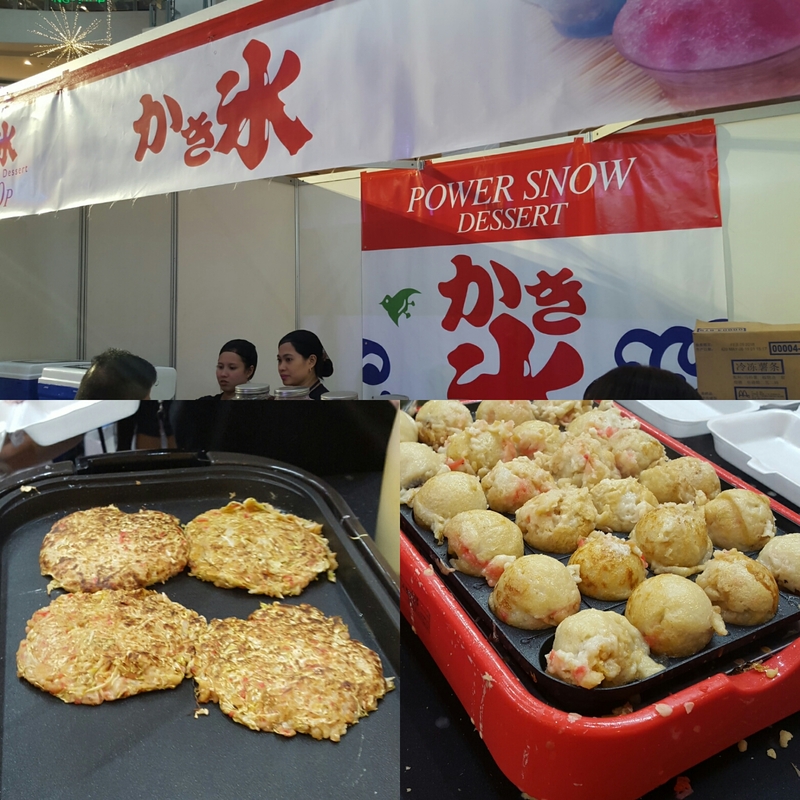 Japan and the Philippines are closely tied politically, economically, and culturally and Hallohallo Inc. seeks to strengthen these connections with the new Cool Japan Project and its launch event, the first ever Cool Japan Festival in Trinoma, Quezon City. 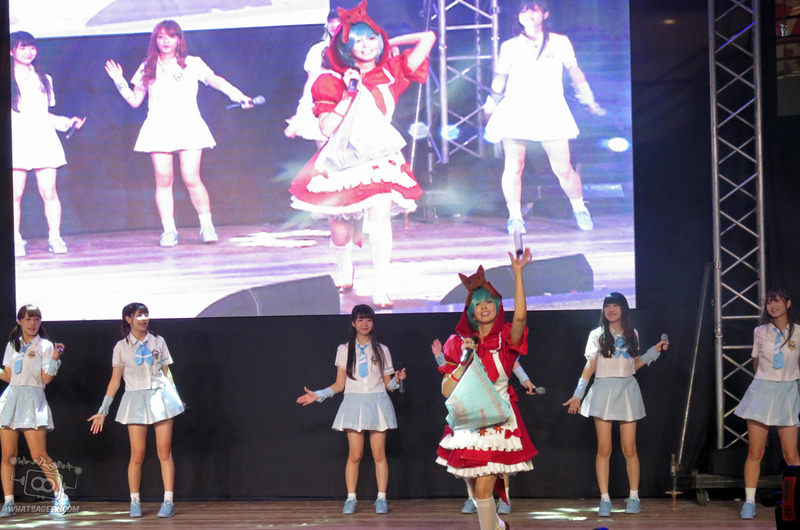 The inaugural event showcases several attractions and guests including Kawaii 5, Cosplayer Alodia Gosiengfiao, and AKB48 represented by Team 8, in their first ever performance in the Philippines. The opening ceremony featured messages from several high profile government and corporate officials and representatives from Japan and Tokyo, solidifying the commitment all parties have to the success of the Cool Japan Project, which aims to bring the convenience of Japan to the Philippines. Ms. Aiko Shimajiri, Minister for “Cool Japan Strategy; Mr. Yasutoshi Nishimura, House of Representatives, and Mr. Yoshio Amano, General Manager of Mitsubishi Corp. The Cool Japan Project also partnered with the Dept. of Labor and the Dept. 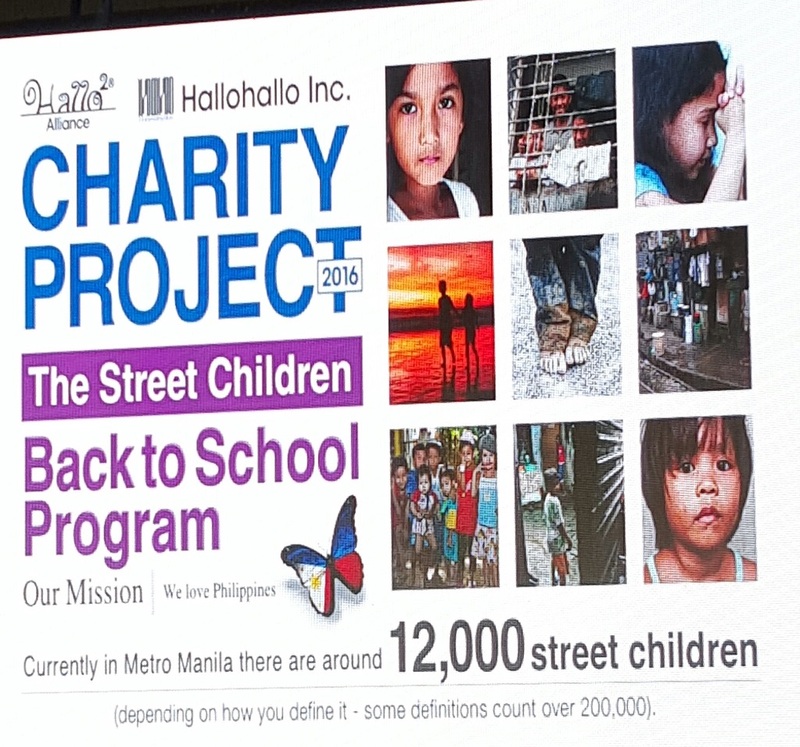 of Social Welfare for the Charity Project 2016 that aims to provide quality education for street children. TeamLab shared plans for the construction of an awesome new light-and-sound disco. The new Lani Lani travel magazine about the Philippines and the popular Japanese celebrity documentary show, Jounetsu Tairiku, announced their respective launch projects. The Cool Japan Festival was an absolutely free event for everyone to come and enjoy, although they had to limit guests due to space limitations at the venue. The lines to enter were long for the entire duration of the event. Upon entry, visitors were greeted with the Cool Japan Shop. 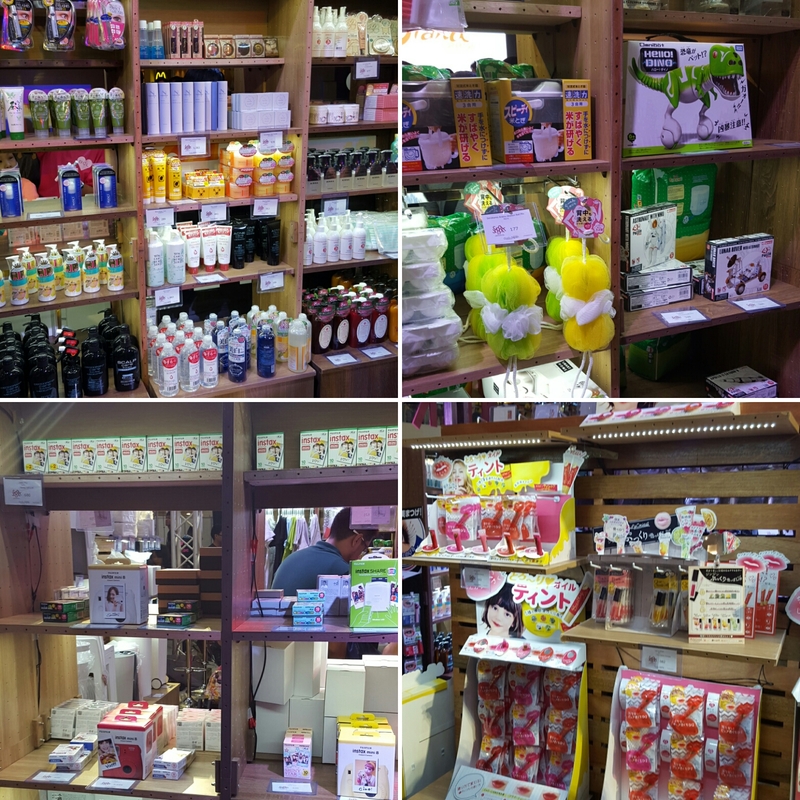 Japanese merchandise were sold here including beauty products, home décor, Instax cameras, and several other knick-knacks. Lucky shoppers who bought P300 worth of items were eligible to win VIP tickets to see the performers of the festival up close! Shopping wasn’t the only thing one could do at the Cool Japan Festival. 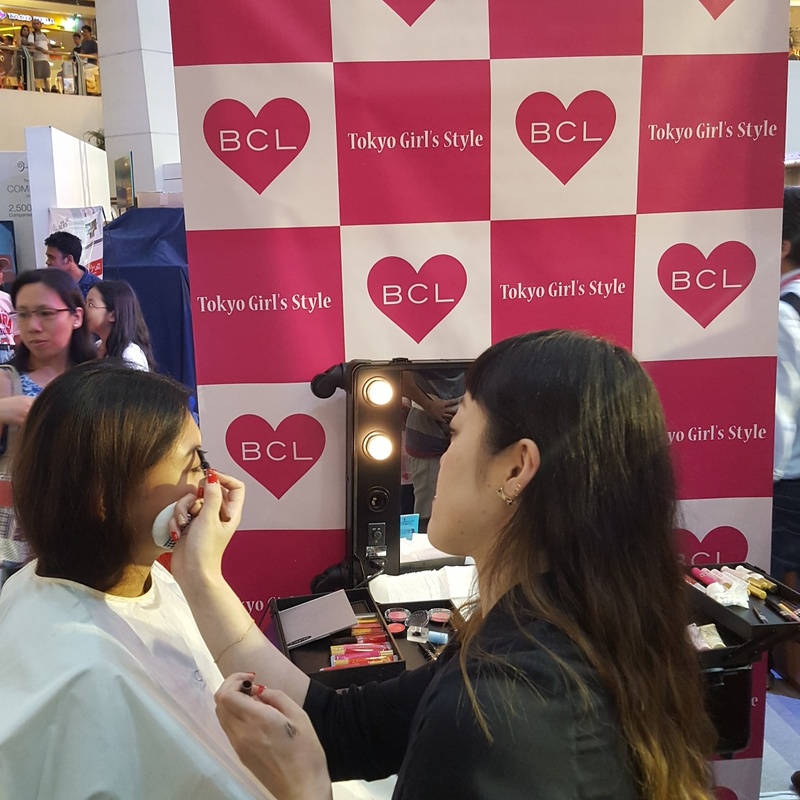 Girls had the opportunity to experience Tokyo Girl’s Style with a booth by BCL Cosmetics. Expert make-up artists “kawaii-fied” participants with the latest fashion trends. 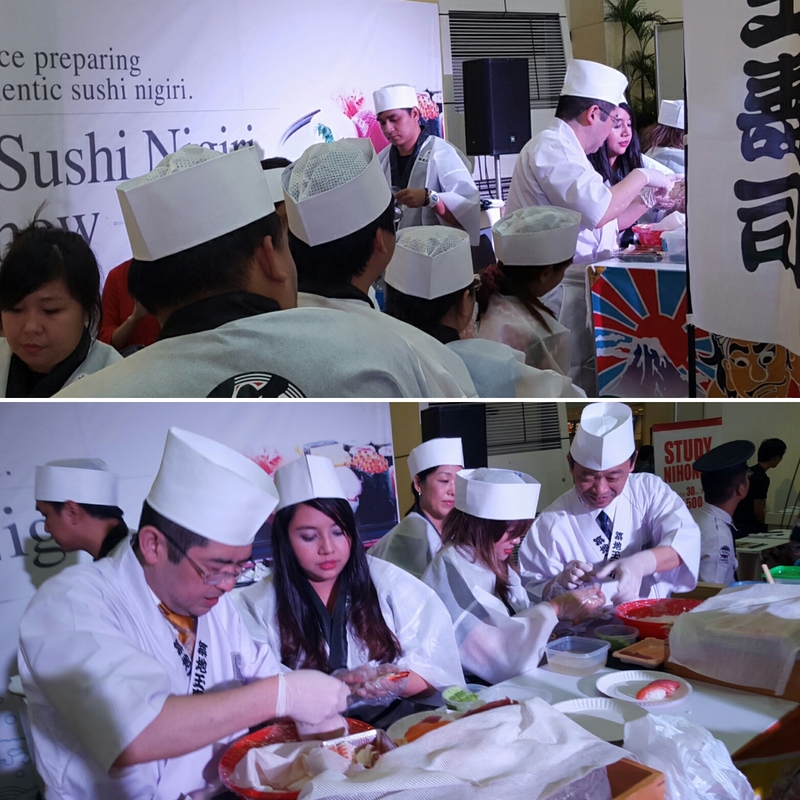 Throughout the day, master sushi chefs taught how to make real Sushi Nigiri. Kids participated in traditional festival games and foodies stuffed their faces with authentic takoyaki, okomiyaki, powdered ice and more! 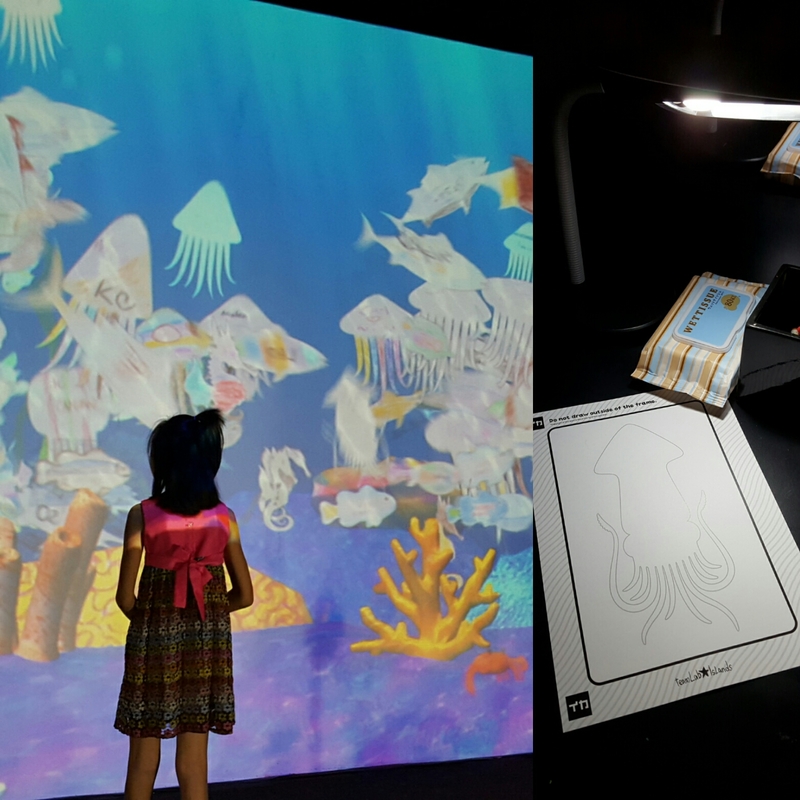 teamLab set up a unique interactive aquarium exhibit where kids (and adults) could draw their own fish and watch it swim on a 263-inch screen! They also had a teamLab photobooth area where guests could superimpose themselves on famous sites or add special effects like manga art. 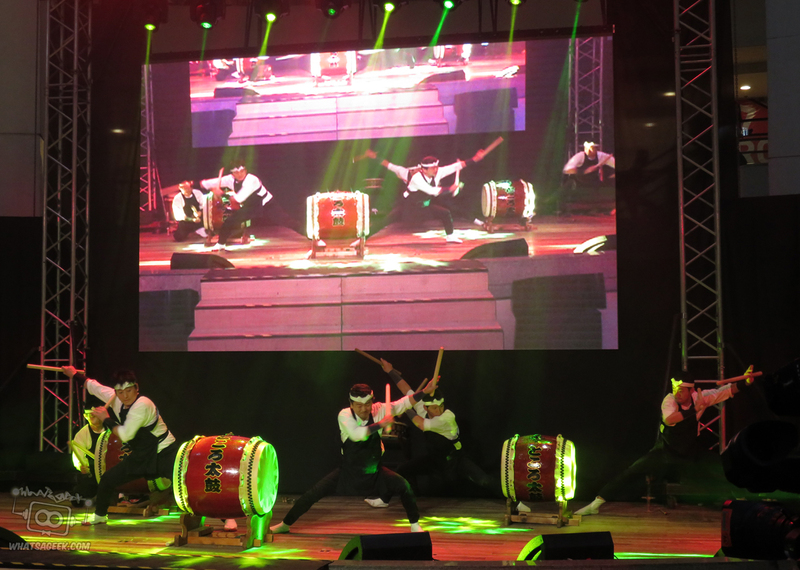 The highlight of the Cool Japan Festival was definitely the show featuring performances by Kawaii 5, Cosplayer Alodia Gosiengfiao, AKB48 represented by Team 8, and more! 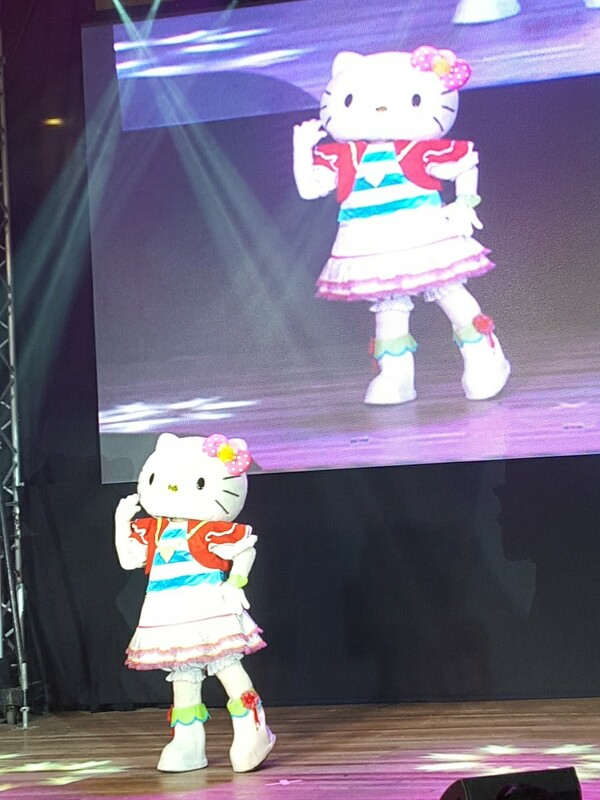 Hello Kitty graced the pre-show allowing Hello Kitty fans, also known as Kitira in Japan, photo opportunities. The show proper kicked off with something a little more traditional. 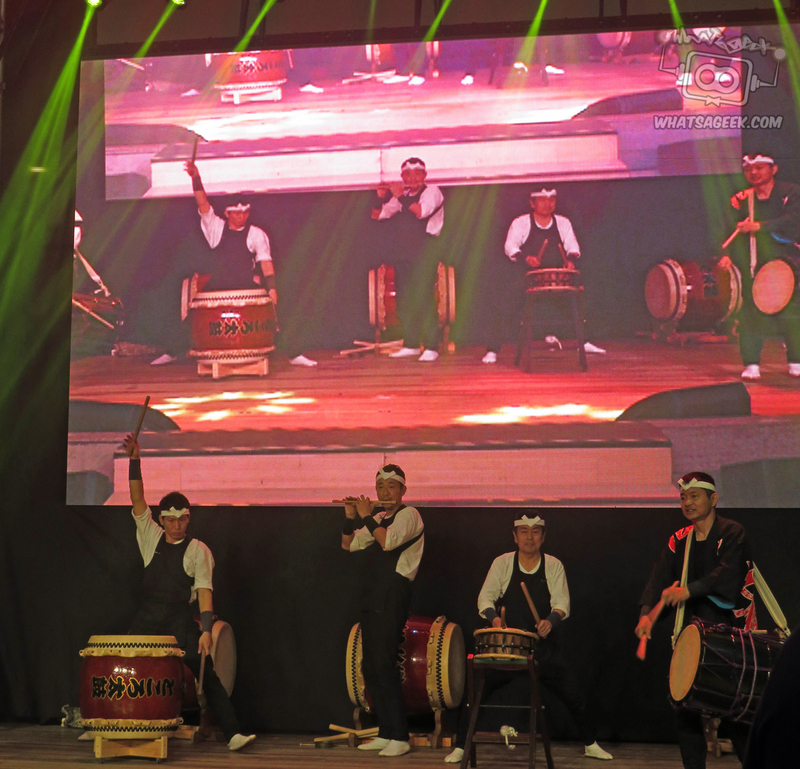 The Tokoro Taiko drum ensemble shared the thousand year-old yet jazz-inspired musical art form. Using wadaiko drums, the ensemble set the tone for the show, beginning with very controlled rhythms building into a crescendo of frantic beats that would reflect the tone for the rest of the show. 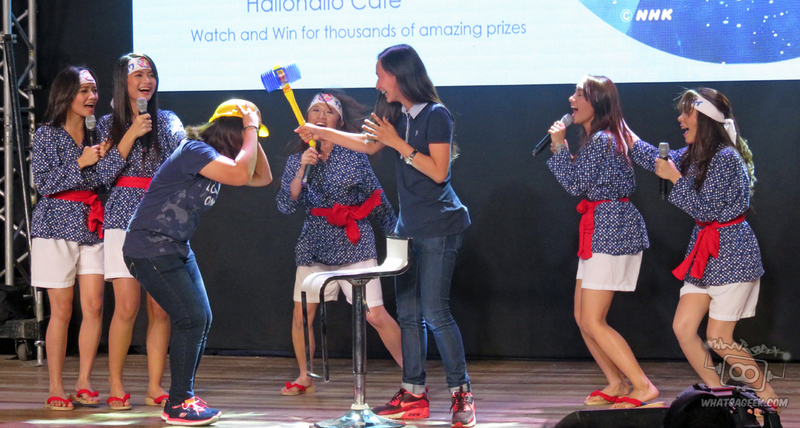 The Philippine’s own home-grown idol group, Kawaii 5 took the stage next. 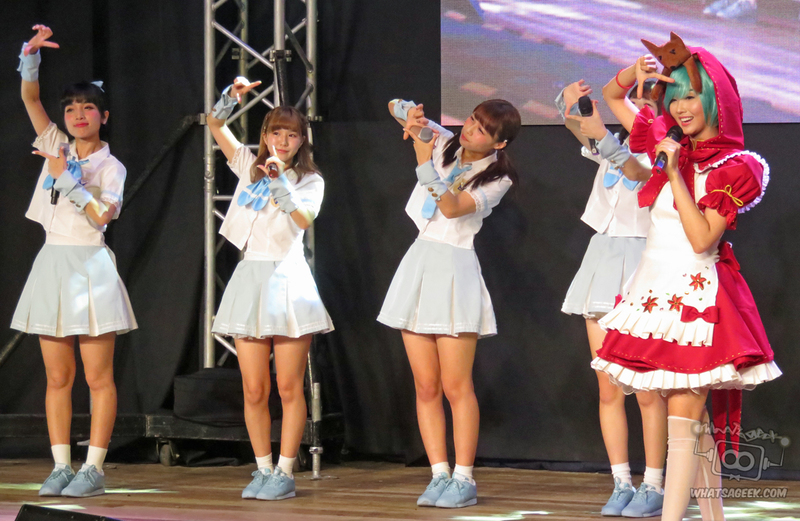 Inspired by the likes of AKB48 and Morning Musume, Mae, Venus, Monica, Alice and Jelline brought their own brand of Japanese kawaii to their fans. Some fans even brought giant tarpaulins to support their favorite local idols. Donning happi-influenced costumes, Kawaii 5 facilitated a game of rock-paper-scissors but with their own twist. The Kawaii 5 also promoted the mega-hit Japanese drama: Amachan, the story of a 16-year old Tokyo schoolgirl who became fascinated with the, women who dive for sea urchins and shellfish, and decides to become one. 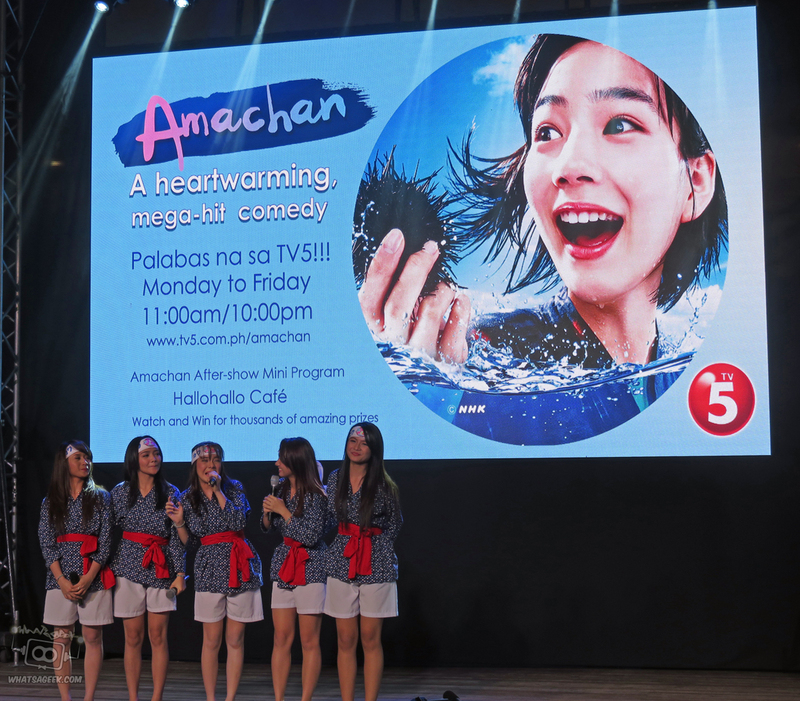 Amachan shows every weekday at 11:00am with a repeat at 10:00pm on TV5! 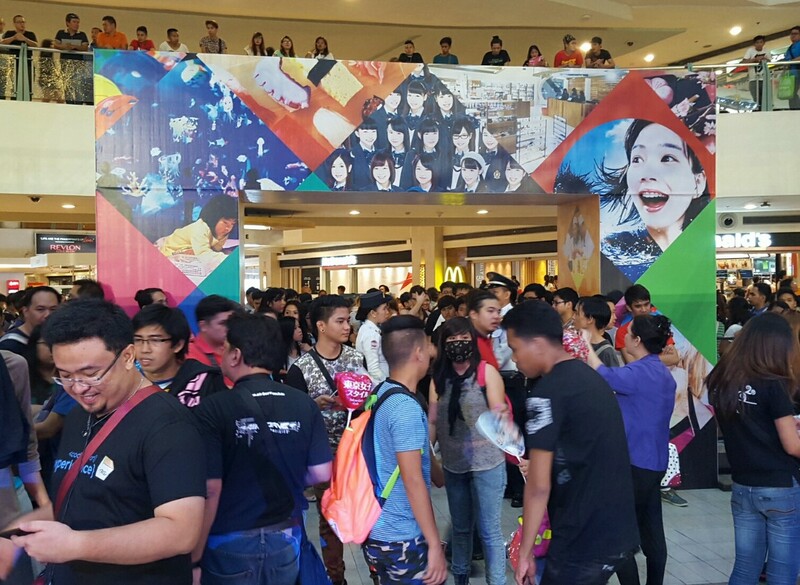 The idol frenzy didn’t stop there. 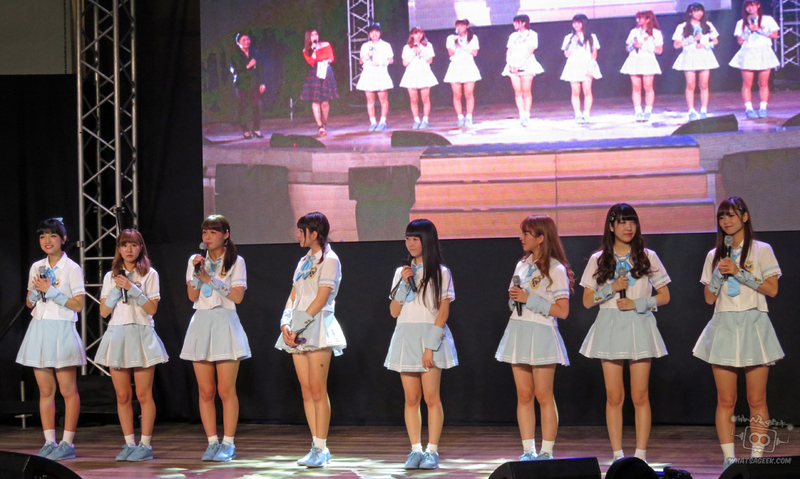 The Japanese idol group, Akishibu Project, chose the Philippines as their first ever overseas performance destination. Formed in 2012, the group aims to unite the otaku-focused Akihabara culture with the gyaru-dominated Shibuya culture, thus explaining their amalgamated name. Leader Miyatani Yue, Taguchi Miiro, Iseki Ami, Otani Emiri, Arakawa Yuuna, Ishikawa Natsumi, Kera Hinako, and Funaki Saori sang and danced their heart out. Despite being a little nervous, they were looking forward to coming to the Philippines. They even expressed wanting to the white beaches of Boracay and the Chocolate Hills of Bohol, even if they weren’t made of chocolate. The Akishibu Project surely won over several new fans and look forward to coming back. Their album Midaregami Fighting Girl was also on sale and can be bought online here. You can learn more about the Akishibu Project with an interview here and their official website here. 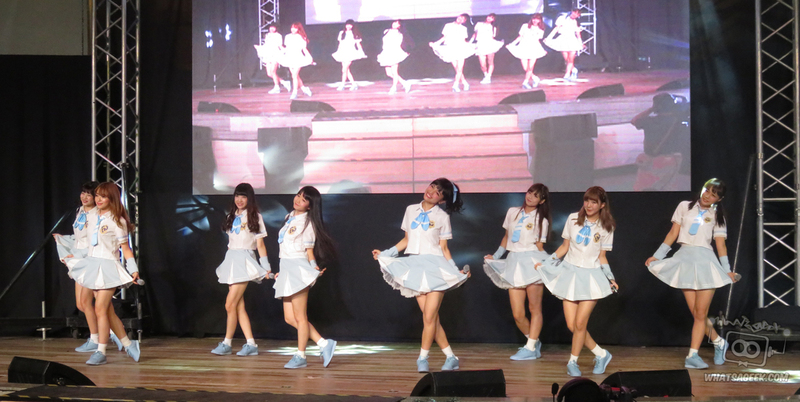 Akishibu Project wasn’t quite done yet, as they were joined by the Philippine’s Cosplay Queen, Alodia Gosiengfiao! 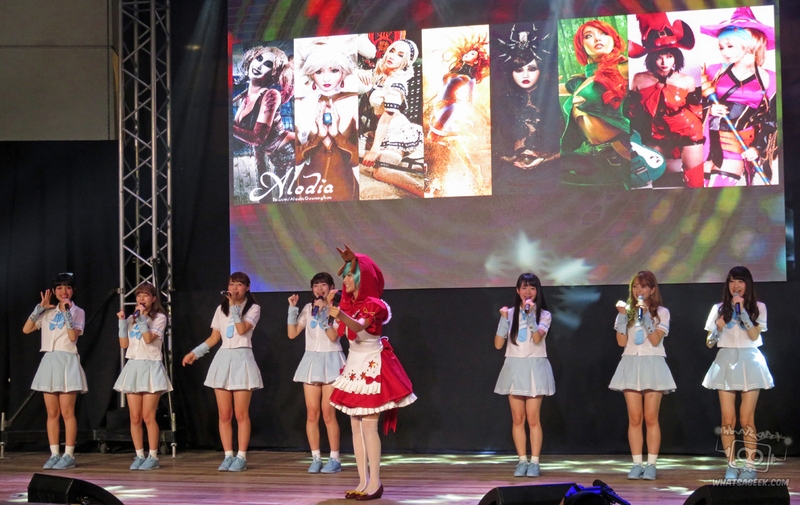 Alodia’s formed her own international cosplay circle, attended international competitions as participant and judge, and endorsed several products such as Animax. 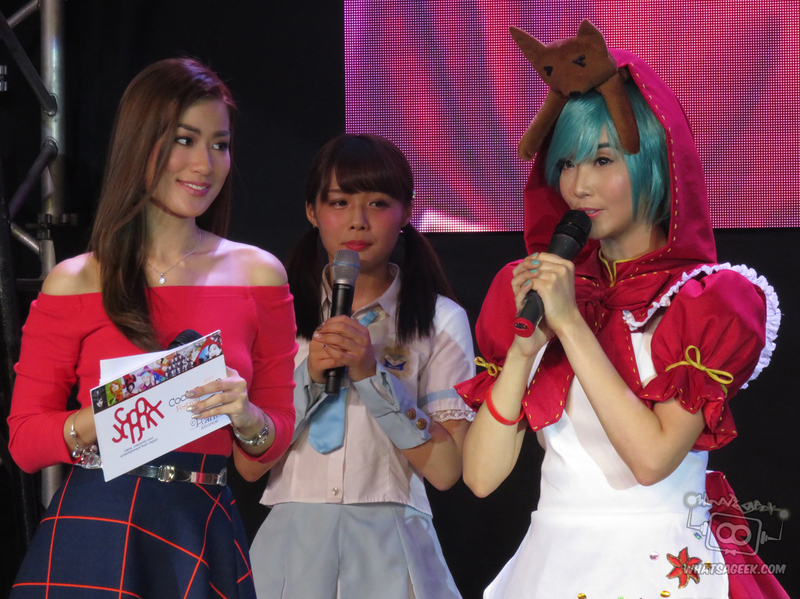 This time, Alodia cosplayed as Wolf-Girl Hatsune Miku. 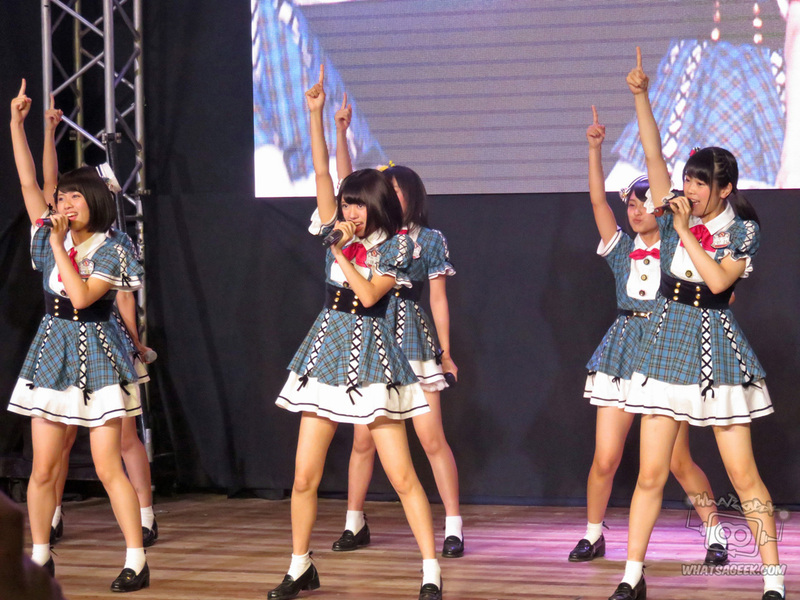 She encouraged audience participation by teaching some dance moves for her performance of “Kawaii Girl” with Akishibu Project. As a final treat, Alodia distributed posters to lucky audience members, (including the extremely lucky guy next to yours truly). Follow her on Facebook and Youtube! Each show capped off with the group everyone was waiting for. 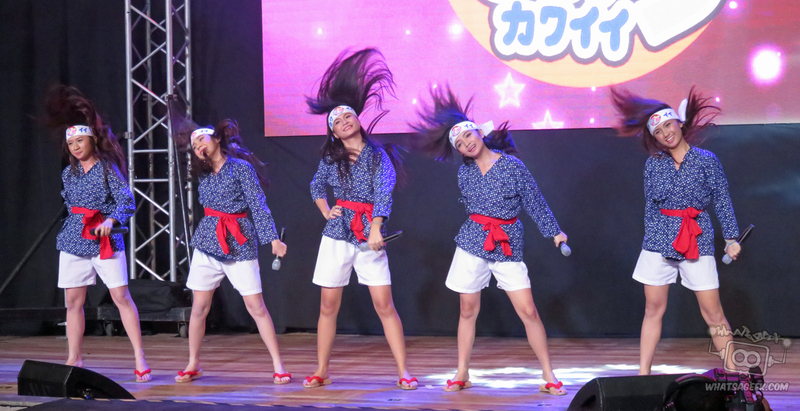 AKB48, represented by Team 8, held their first-ever Philippine performance right here at the Cool Japan Festival! As part of the one of the biggest idol groups in Japan, Team 8 is a branch of the AKB48 group sponsored by Toyota. They are branded as “the idols who go to meet fans.” Each member of Team 8 represented one of the 47 prefectures of Japan. 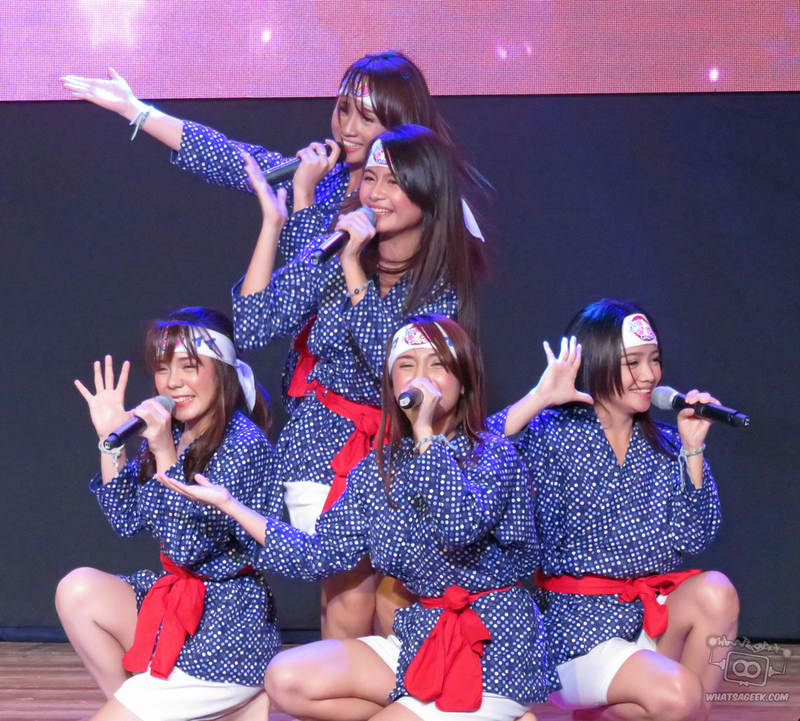 Of the 47, 12 members of Team 8 were able to travel to the Philippines: Rin Okabe (Ibaraki), Maria Shimizu (Gunma), Nanase Yoshikawa (Chiba), Erina Oda (Kanagawa), Shiori Sato (Niigata), Nao Ota (Kyoto), Nanami Yamada (Hyōgo), Momoka Onishi (Nara), Yuri Tani (Hiroshima), Riona Hamamatsu (Tokushima), Yurina Gyoten (Kagawa), and Rena Fukuchi (Saga). It was completely adorable that they were able to give their individual introductions in Filipino. Adoring fans, from both the Philippines and Japan, screamed and shouted, waving their lightsticks to the beat of every song they performed. It’s one thing to watch them on a screen but it’s definitely a totally different experience seeing them in person. Hallohallo Inc will have many other parts to the Cool Japan Project beyond the first ever Cool Japan Festival. They will aim to rollout over 120 Cool Japan Stores all over the Philippines over the next two years. The pinnacle of the project will be the creation of the a multi-story Hallohallo Mall. 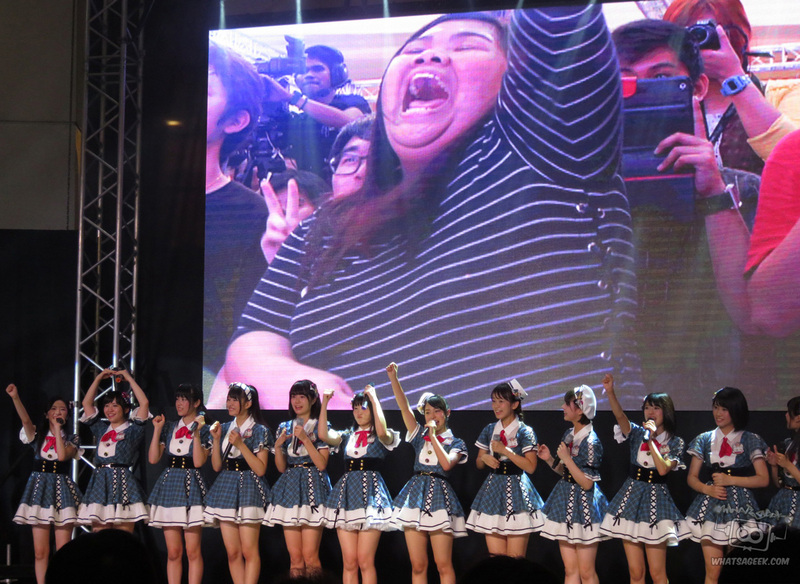 It will feature Cool Japan Shops, a Pixiv art museum (the Japanese equivalent of DeviantArt), teamLab exhibits, and a MNL48 theater, for the local sister group of AKB48. There will be so much to look forward to, including hopefully another Cool Japan Festival event next year with even more fun activities and guests! But wait! The Cool Japan Festival wasn’t all fun and games for everyone. Why? Find out why here!